Never kill or kidnap living creatures! Only take home empty shells! Watch carefully and quietly – Many seashore creatures are hard to spot and may be scared off by splashing feet. Avoid trampling delicate creatures. 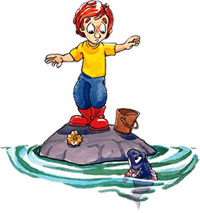 Animals like anemones and honeycomb worms are easily crushed underfoot. 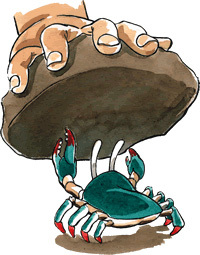 If you turn a rock over to see who is living underneath it, please put it back the original way up so they do not dry out. Rockpool creatures do not have sunblock or protection from the wind! Keep creatures that you find in a bucket. Cover them with plenty of cool water and release them before too long. Don’t snap off seaweeds or knock creatures like limpets from the rocks.